In the case of Newsuan v. Republic Services, Inc., No. 1248 EDA 2018 (C.P. Phila. Co. Sept. 14, 2018 Rau, J. ), the trial court judge issued a Rule 1925 Opinion supporting the trial court’s prior decision on the discovery issues presented in this matter relative to the attorney client privilege and the attorney work product doctrine. Tort talkers may recall a prior Tort Talk blog post on the court’s original decision in this case [June 20, 2018 - click HERE to view that post]. In this matter, the court granted a Plaintiff’s Motion to Compel the defense to produce certain information about potential witnesses who worked at a facility at the time of the Plaintiff’s accident. 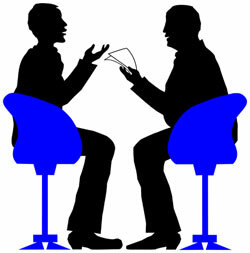 According to the Opinion, the defense attorneys allegedly refused to produce information about the witnesses because those attorneys allegedly wanted to interview them first and possibly even offer to represent the witnesses for free in order to create an attorney-client relationship with the witnesses and thereby preclude anyone else from interviewing them. In this more recent Rule 1925 Opinion, Judge Rau reiterated the rationale of the Court that the defendants had waived their claims by failing to assert appropriate objections before the trial court. Judge Rau also reiterated that the appeal has no merit because the trial court’s Order did not require the disclosure of any privilege attorney-client communications or attorney work product. In this regard, the court noted that the interviews with potential witnesses at issue occurred prior to the formation of any attorney-client relationship between the defense counsel and the witnesses and, therefore, were not privileged. The court also noted that the appeal by the appellants was improper as a trial court order concerning routine discovery or factual information is not the proper subject for an appeal in the middle of a litigation.